Last week, I suggested that the FDA’s infamous 14 warning letters sent to major pharma companies regarding violative search engine ads may have been a "shot across Googles bow," intended to force Google to halt its acceptance of ads from "illegal" online pharmacies (see "How FDA, in Cahoots with DOJ, Brought Google Down"). 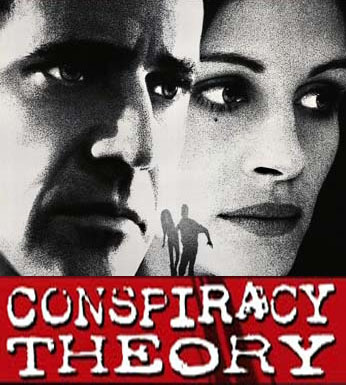 Many people did not take my "conspiracy theory" seriously. Some pooh-poohed my suggestion that the FDA was involved. One commenter to my blog said "OMG... what a stretch...I'm sure they are laughing at you at FDA." It turns out that the FDA WAS INVOLVED in the criminal investigation of Google by the Department of Justice (DOJ). Today, the Wall Street Journal reports that "as part of the criminal investigation, undercover agents for the Food and Drug Administration contacted Google posing as representatives from rogue Internet pharmacies" (my emphasis; see "Google Was Warned Repeatedly About Illegal Drug Ads"). Even if the FDA was involved, my "conspiracy theory" would not hold water UNLESS the investigation of Google preceded the issuance of FDA's warning letters at the end of March, 2009. In my previous post, I couldn't cite specific evidence that the investigation went back prior to 2009, but now the WSj article confirms this to be true. "In July 2008, the National Center on Addiction and Substance Abuse at Columbia University (CASA) wrote to Eric Schmidt, then Google's chief executive, saying it found 'prominent displays of ads for rogue Internet pharmacies' in a Google search for controlled drugs." In December, 2008, the National Association of Boards of Pharmacy, or NABP, a group representing state regulators in the U.S. and Canada, wrote letters to Google "warning about advertising from online drug outlets that weren't verified by a NABP screening program. The organization was 'deeply concerned that these rogue Internet sites could be a front for criminals seeking to introduce adulterated medications, counterfeit drugs, or worse, to the American market,' wrote Mary Dickson, the NABP's associate executive director. The NABP says Google didn't respond." Google DIDN'T RESPOND?! That suggests it needed convincing. What better way to get google to respond than by sending out 14 warning letters to its BEST clients, effectively shutting down Google's legitimate drug ad revenue? (read more about this in my previous post). "'On the basis of our analysis, I think they were turning a blind-eye,' said Bryan Liang, a California Western School of Law professor who published a 2009 report that found Google and others were profiting from online ads paid for by illegal drug sellers. 'They were making a lot of money on this.'" "In 2009, LegitScript LLC, which monitors online drug sellers, published reports alleging that 80% and 90% of Yahoo and Microsoft's respective online drug advertisers were breaking the law." "John Horton, who runs LegitScript, said his company also conducted in 2009 an unpublished review of Google's ads and found the same level of problems. LegitScript is now employed by Google to help identify problem sites, he said." "PharmacyChecker [the third-party company that Google hired to verify that online pharmacy advertisers were legal] said it received a subpoena from the FDA in 2009 to produce all its communications with Google regarding pharmacy verification policies." It is clear that the FDA and DOJ were investigating Google long before the FDA sent those March, 2009, letters. Some of the reports and activities described above happened AFTER FDA sent the letters (eg, the LegitScript report was published in August, 2009; see here). No doubt these reports were published due to the light the FDA letters shone on Google's drug ad policies. IMHO, the letters not only impacted Google's revenue, they also elicited further data from third-parties to bolster the DOJ's case against Google. There are no laws mandating that Google or any other private companies screen advertisements for legal content other than the obvious freedom of speech clauses. It is for the Sponsor company to comply with 21 CFR regulations. FDA is screening and combing the world wide web for any breach of 21 CFR ads. FDA has taken a real proactive approach to internet regulated product ads (foods, drugs, devices). FDA can request that Google hire staff knowledgeable with 21 CFR regulations but then every other agency EPA, DOJ ect.. would want in & where does the private business burden stop? There is not enough money to keep up the Nanny state over-watch. FDA is searching more for unapproved health care product ads for easy shut down response. Send an FDA Investigator out to write them up with warning letter follow-up and other regulatory action. Unfortunately, Google errs in the other direction -- by hiring staff that know NOTHING about FDA regulations, yet who advise pharma clients how to create ads, which ultimately got them (the clients) burned! See "The 'Girl from Google'" (http://goo.gl/VeTHO).